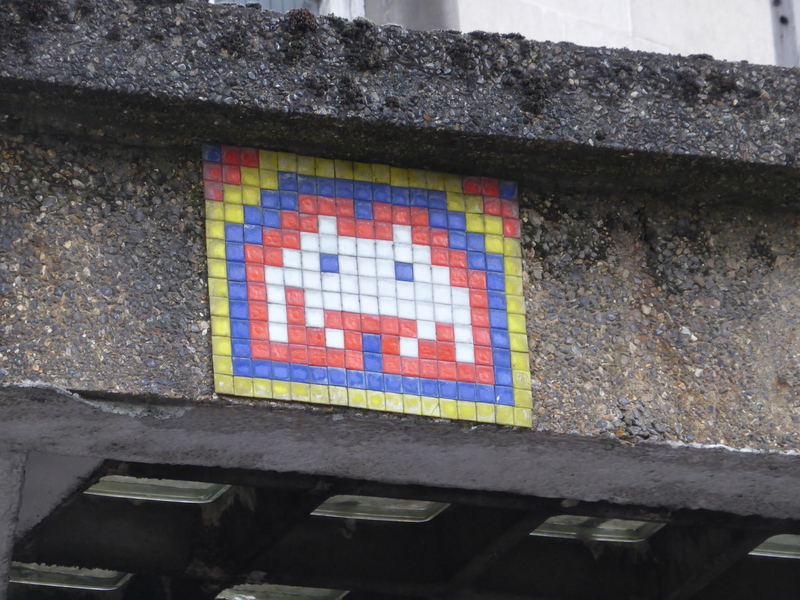 On our recent rambles we have discovered several Invasions previously unbeknownst to us, so today we thought we would offer a guide as to where you can spot Street Art by French mosaic artist Invader around London. 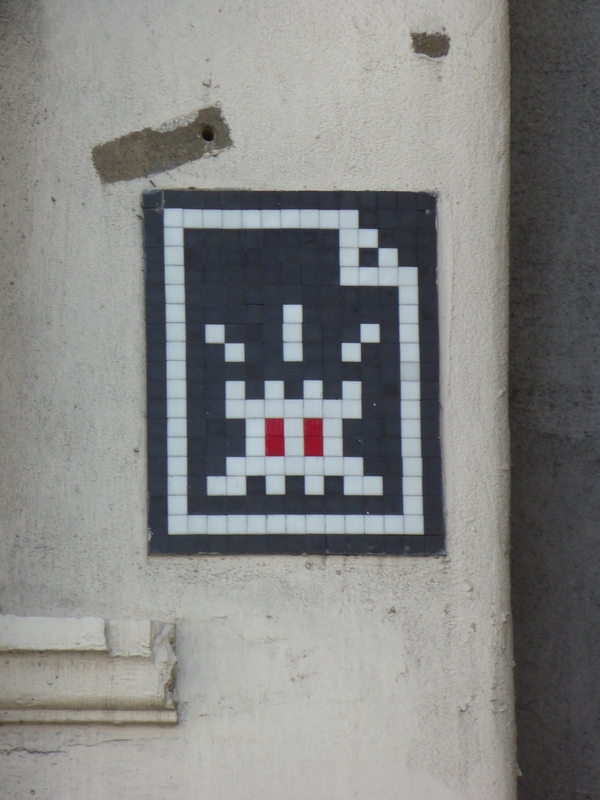 It is always a treat to discover a new Invader work and one should always remember to “Look Up”, as you would be surprised how easily you may pass by an invasion on countless occasions. 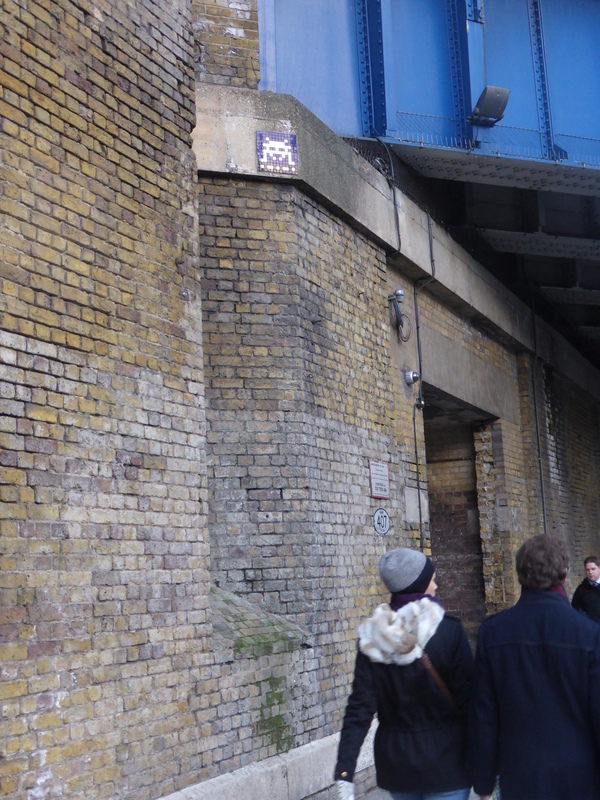 If anyone viewing knows of any more Invasions around London, please message or email us with the locations and we will add them to the post. Invasion viewable from the Old Truman Brewery in Brick Lane. 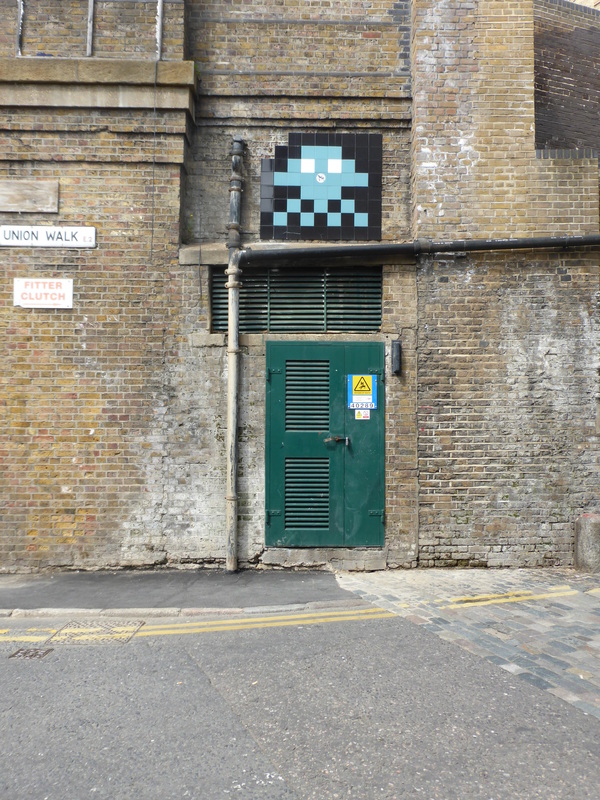 Invasion in the Old Truman Brewery in Brick Lane. 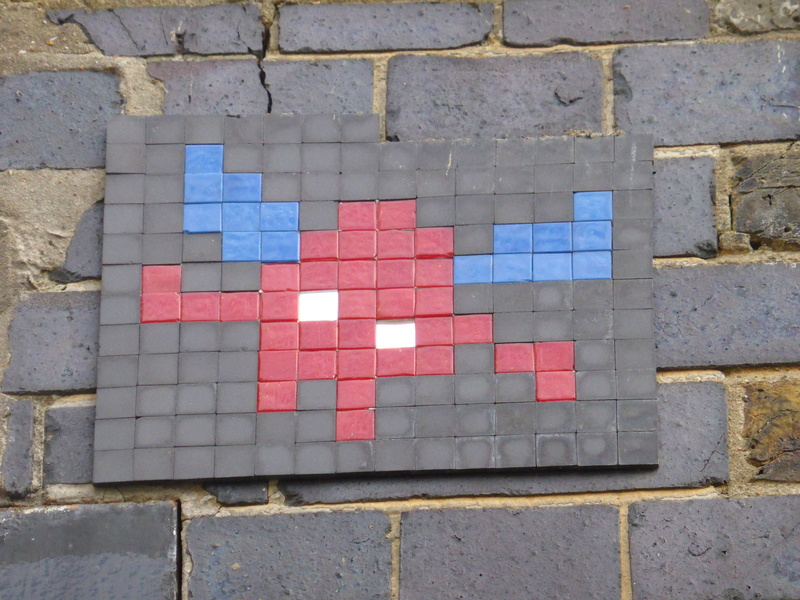 REACTIVATED Invasion by Invader in Brick Lane, courtesy of the Space Rescue team. Invasion in Shoreditch on Great Eastern Street to the right hand side of the Shoreditch Art Wall. 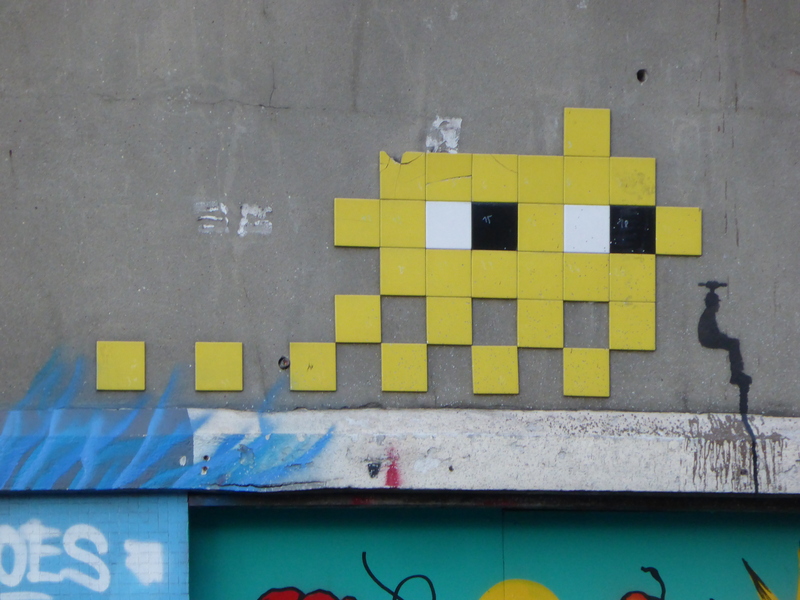 Invasion in Shoreditch on Curtain Road. 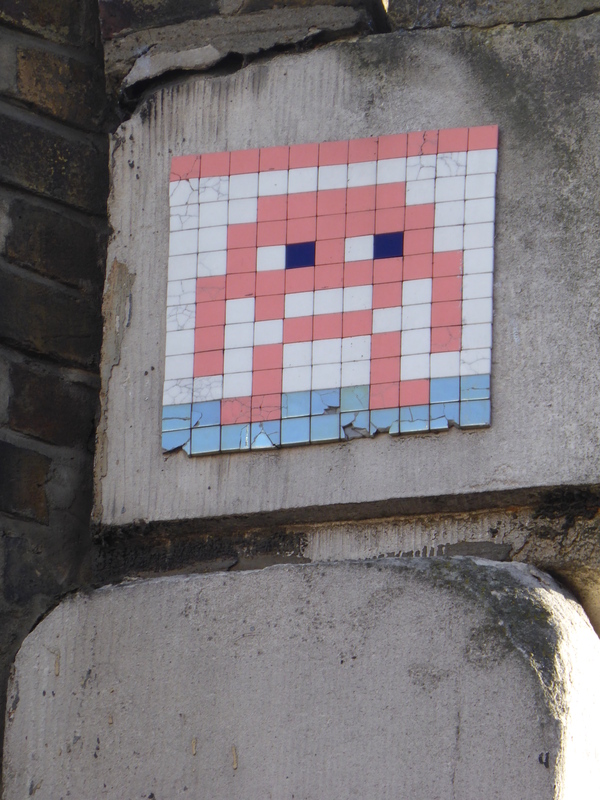 Invasion in Shoreditch on the corner of Old Street & Rivington Street. 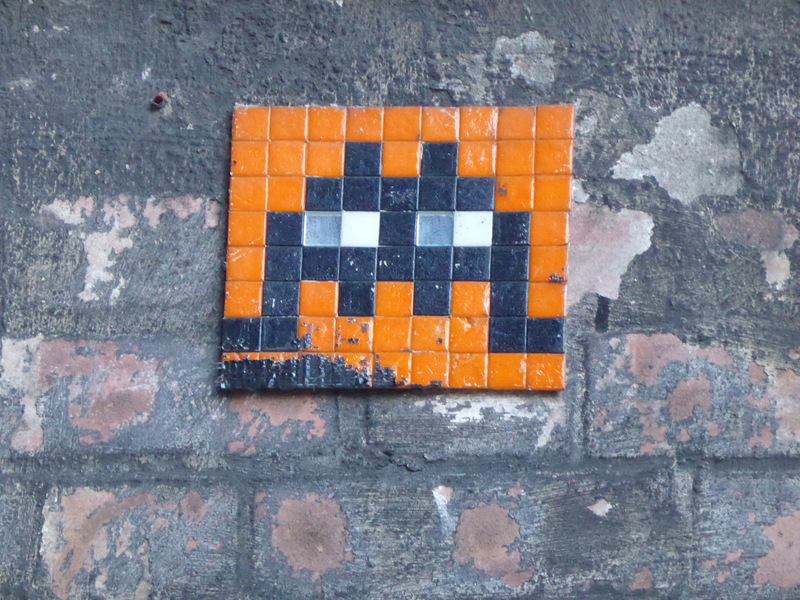 Invasion in Shoreditch in Rivington Street. 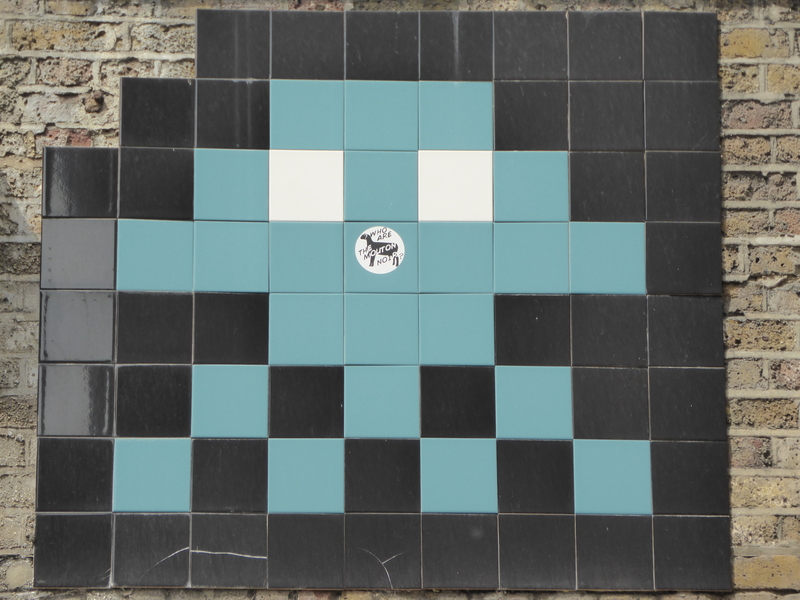 REACTIVATED Invasion by Invader courtesy of the Space Rescue team in Curtain Road, Shoreditch. Invasion in Shoreditch on the corner of Old Street & Shoreditch High Street. Invasion at the junction of East Road & New North Road, Islington. Invasion 150, a great way to end his latest wave in London. Invasion in Islington at the corner of Central Street & City Road. 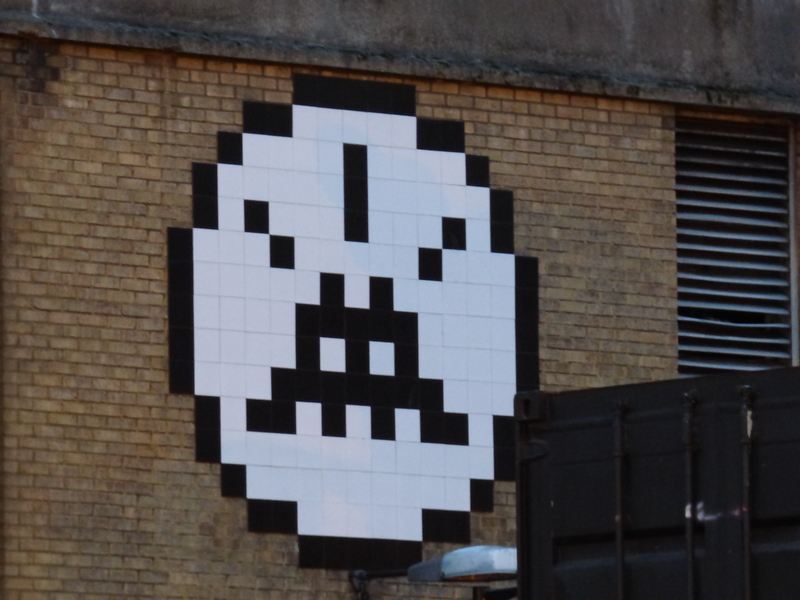 Invasion in Hoxton in Union Walk. 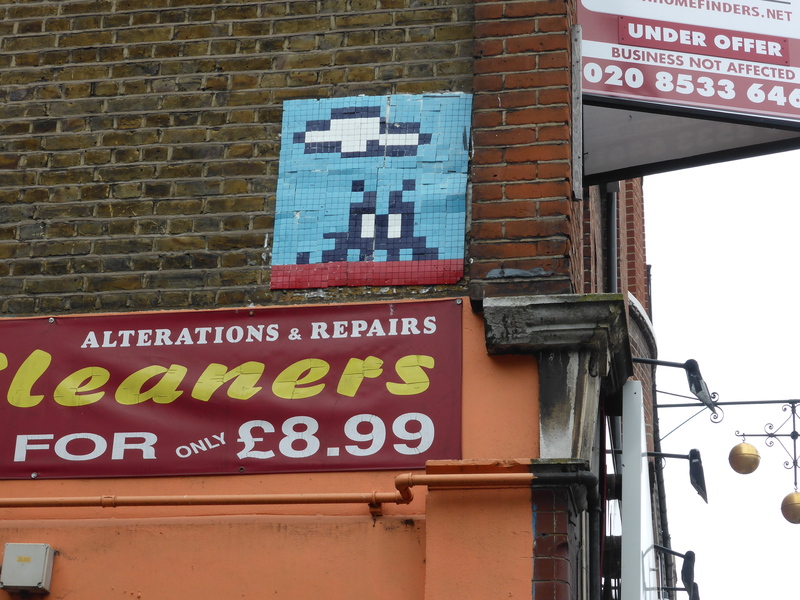 Invasion in Dalston in Sandringham Road. 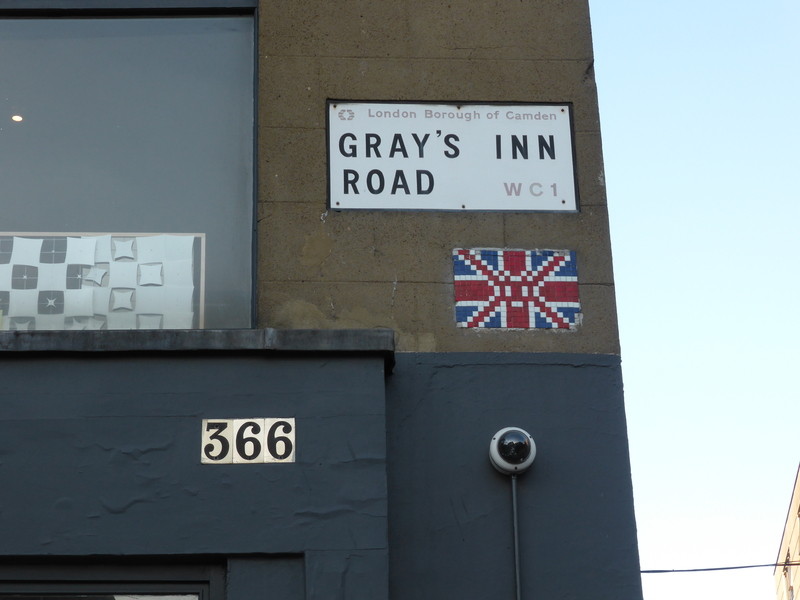 Invasion in Broadway Market, Hackney. 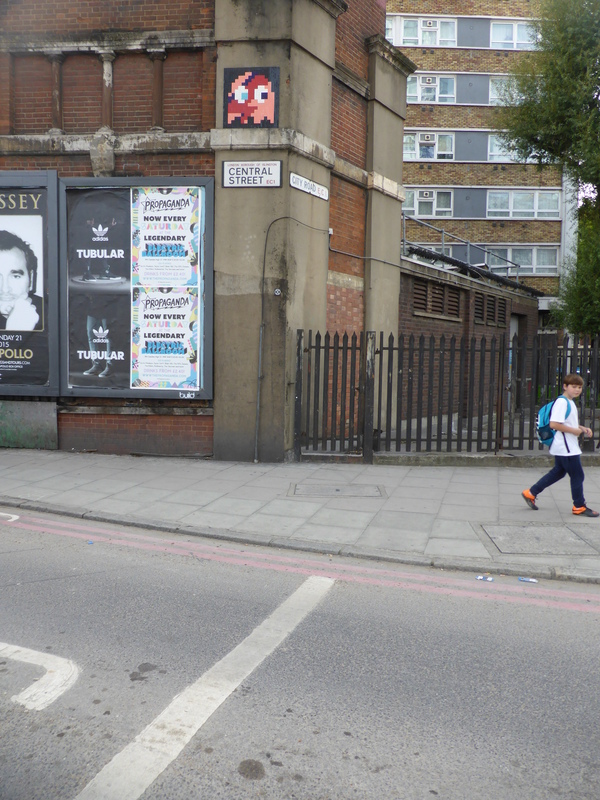 Invasion In Hackney, just across from Hackney Central Station. Large-scale Invasion on the premises of The Bell pub in Brandon Road, Walthamstow. 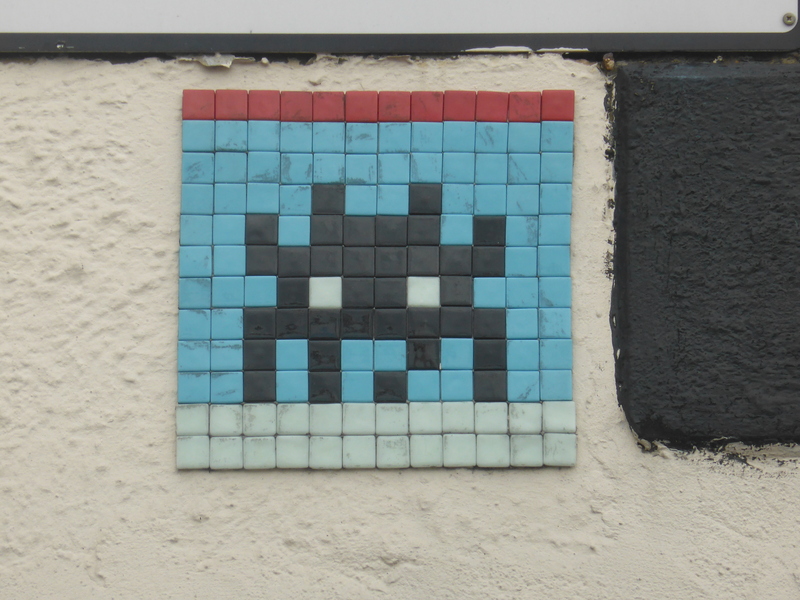 Invasion in Lea Bridge Road, Walthamstow. 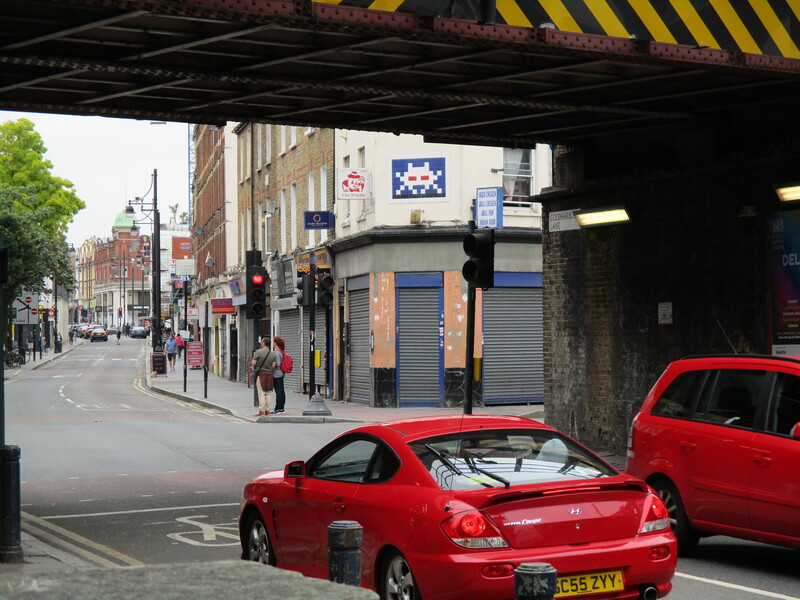 Invasion in Clerkenwell on Clerkenwell Road at the Old Street end. 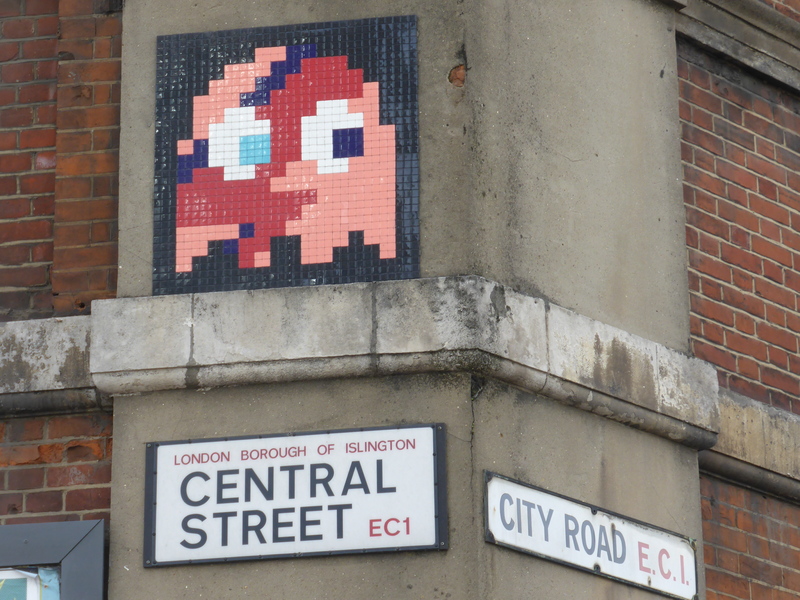 Invasion in Clerkenwell in St. John Street. 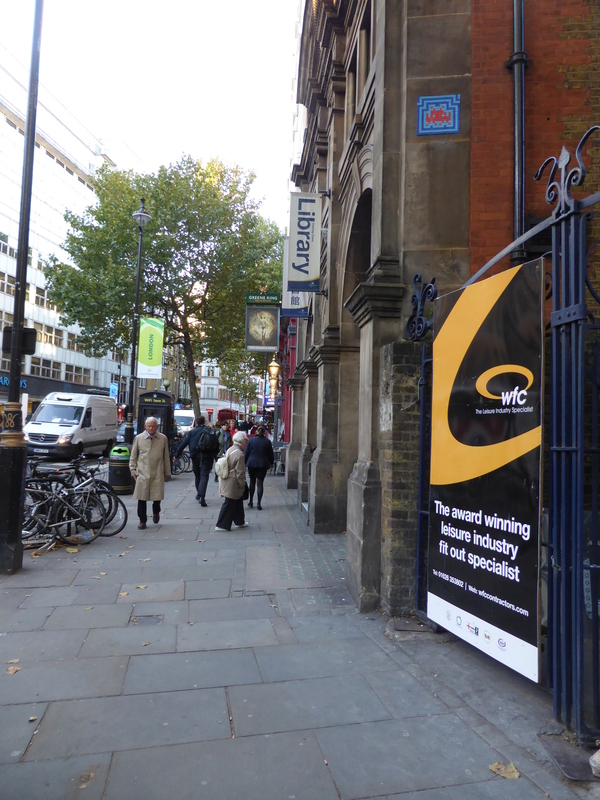 Invasion in Clerkenwell at the corner of Charterhouse Street and Farringdon Street. 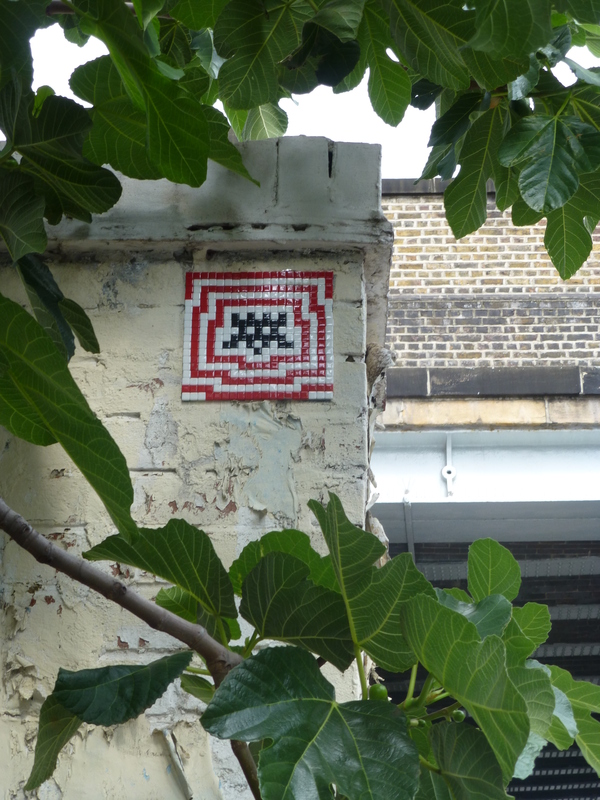 REACTIVATED Invasion by Invader courtesy of the Space Rescue team in along the Embankment., Shoreditch. 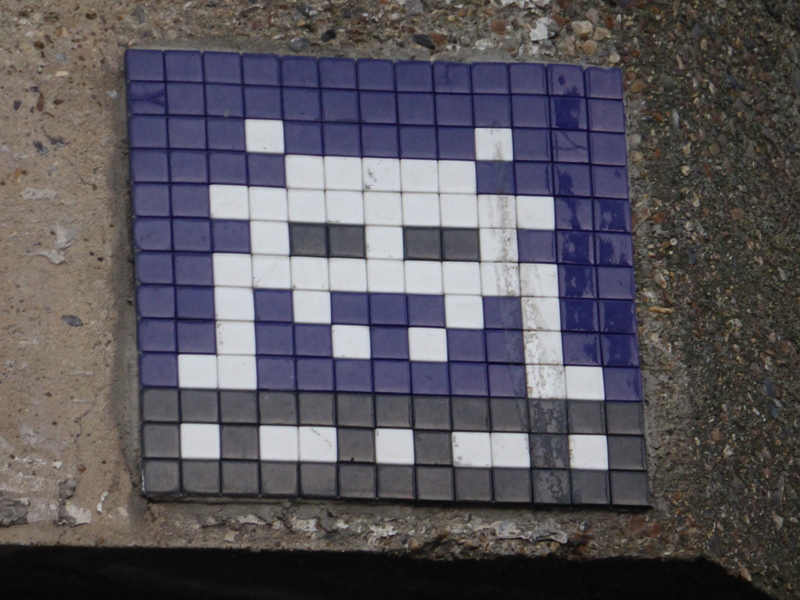 REACTIVATED Invasion by Invader courtesy of the Space Rescue team just off of Westminster Bridge, Westminster. 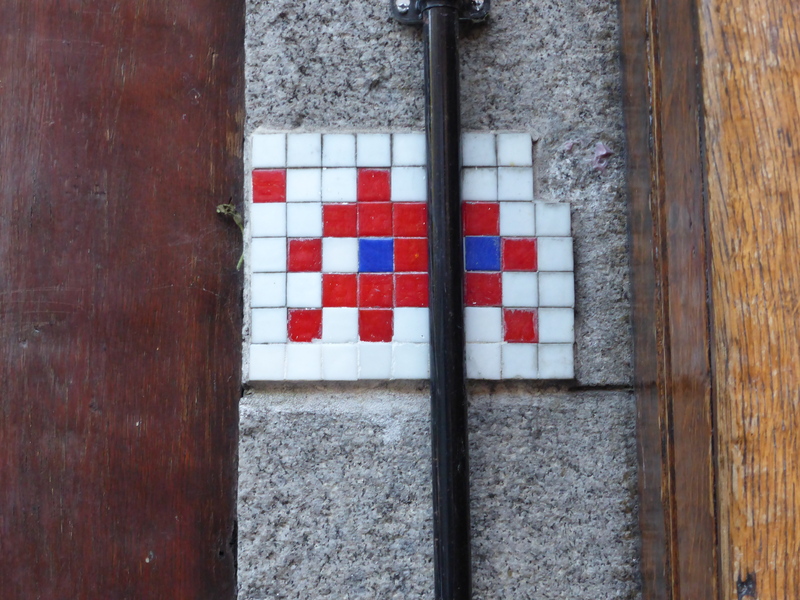 REACTIVATED Invasion by Invader courtesy of the Space Rescue team in Noel Street, Soho. 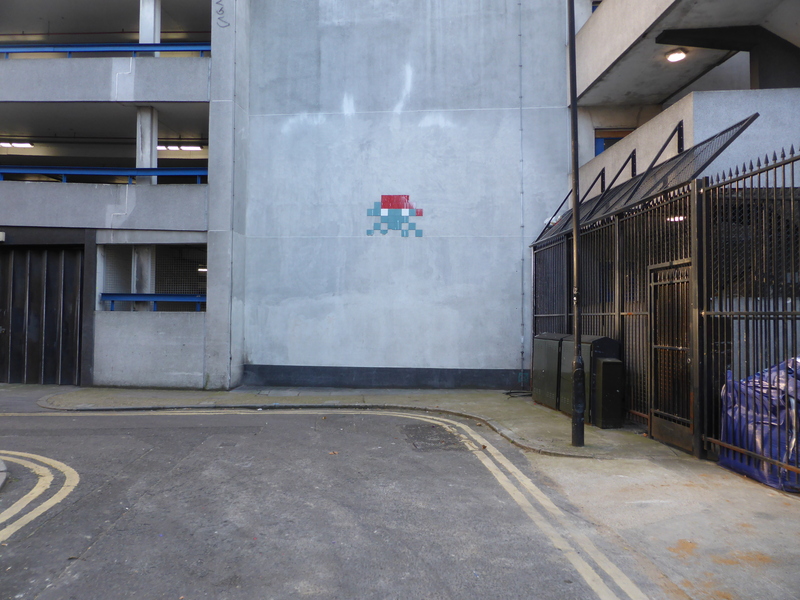 REACTIVATED Invasion by Invader courtesy of the Space Rescue team in St Anne’s Court, Soho. 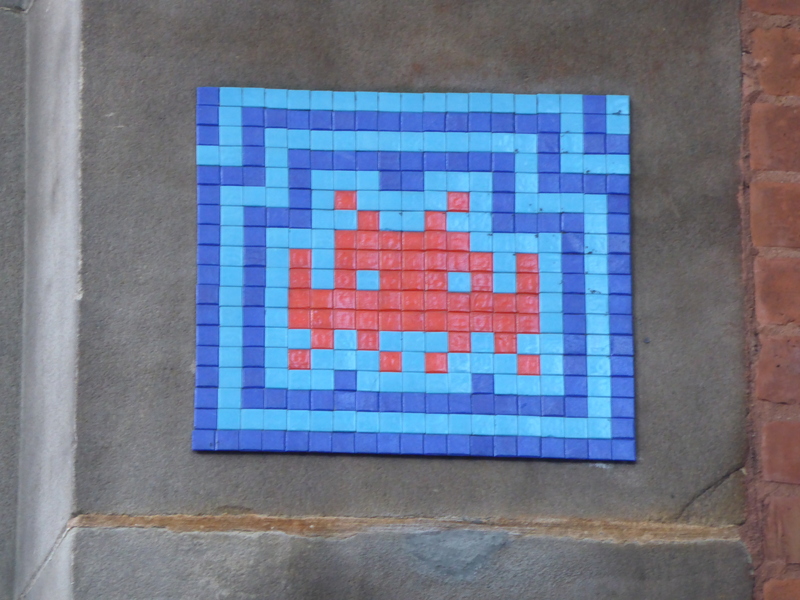 REACTIVATED Invasion by Invader courtesy of the Space Rescue team in Wardour Street, Soho. 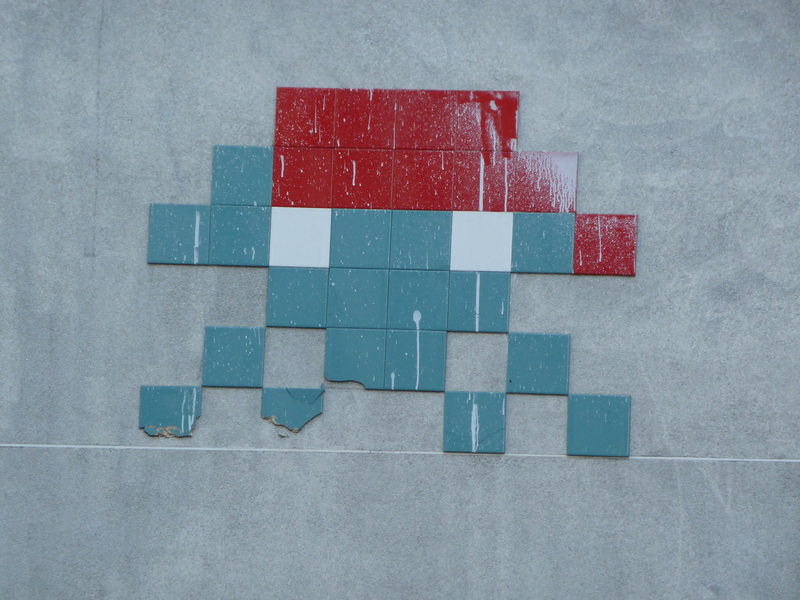 Invasion in Soho in Manette Street. Invasion in Soho on Greek Street. 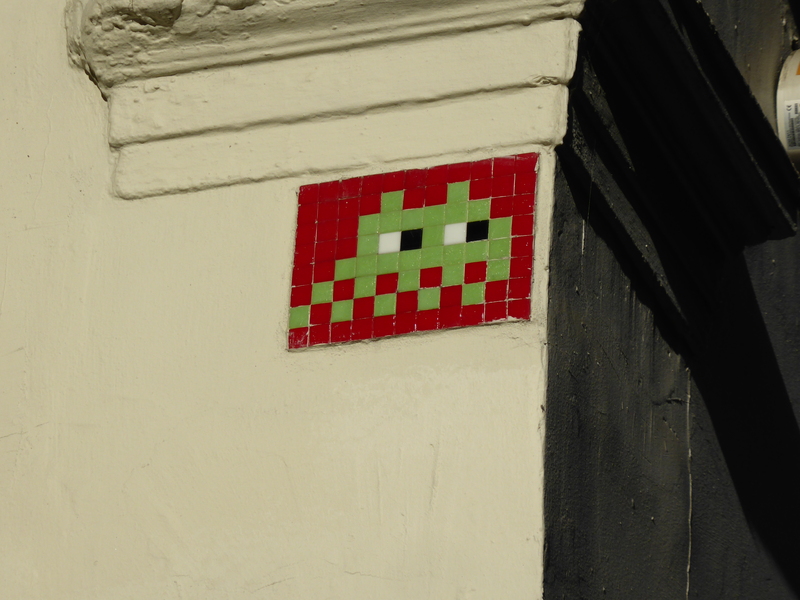 Invasion in Soho on Meard Street. Invasion in Soho on Wardour Street. Invasion in Soho on Broadwick Street. Invasion in Soho on Charing Cross Road, near Leicester Square. Invasion on the Prince Charles Cinema in Lisle Street, Leicester Square. Invasion in Soho on Old Brewer’s Yard. Invasion across from the British Museum in West Central Street. Invasion near Kings Cross in Gray’s Inn Road. 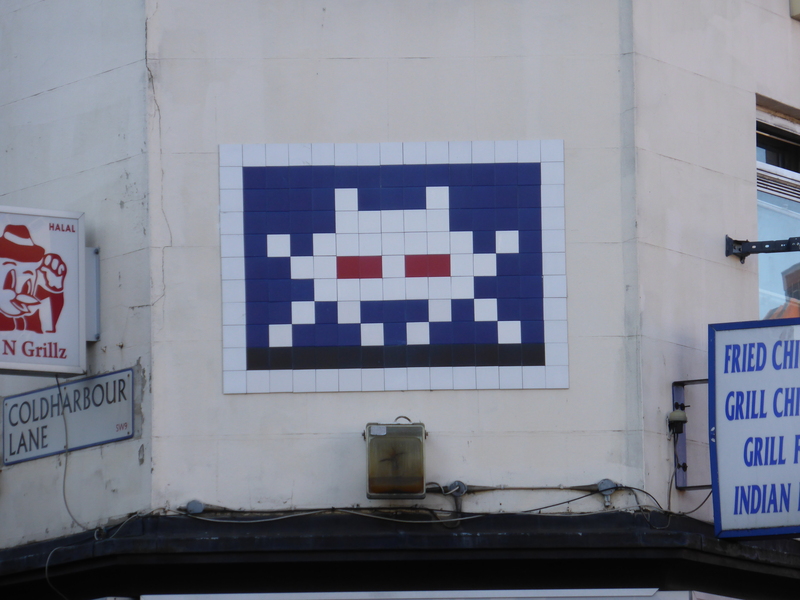 Invasion in Buck Street, Camden Town. Invasion on The Arts Building in Morris Place, Finsbury Park. 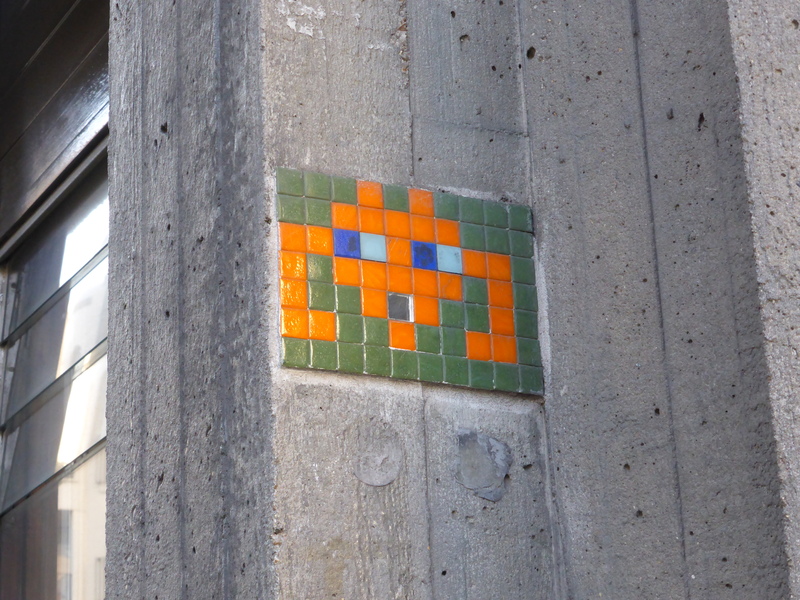 Located on the Arts Building, the piece aptly features a classic Invader character wielding a paint brush ready for action. 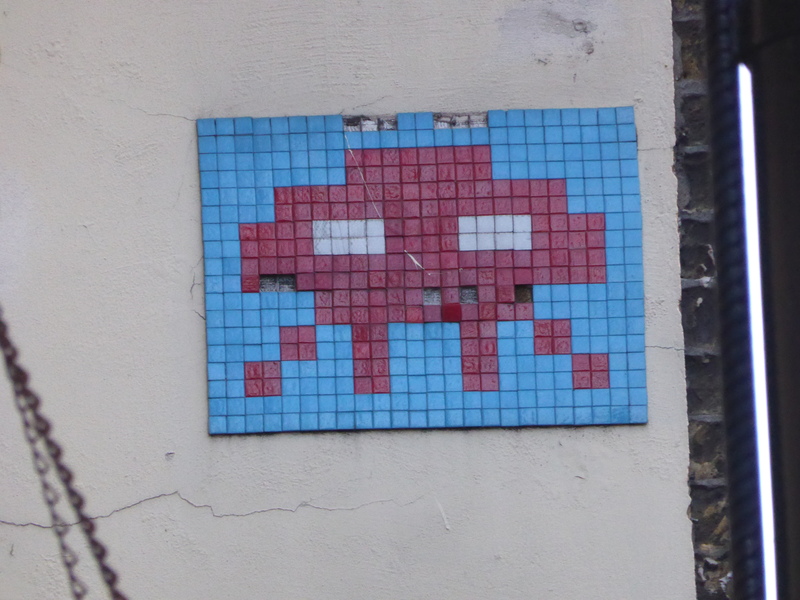 Invasion in Holloway Road, Islington. One of two new works to incorporate the security camera into the design, on this occasion with petals comprised of the yellow tiles to create a sunflower with the addition of the camera. 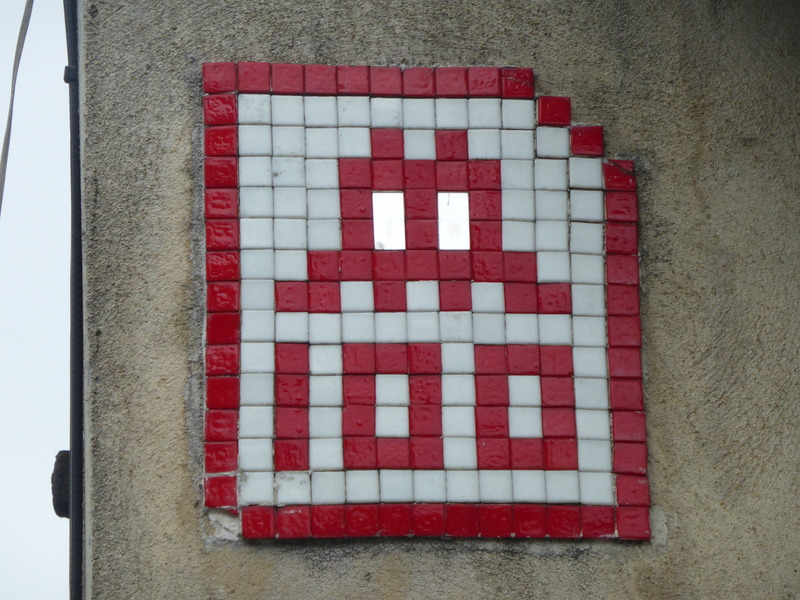 Invasion in Hornsey Road, Islington. 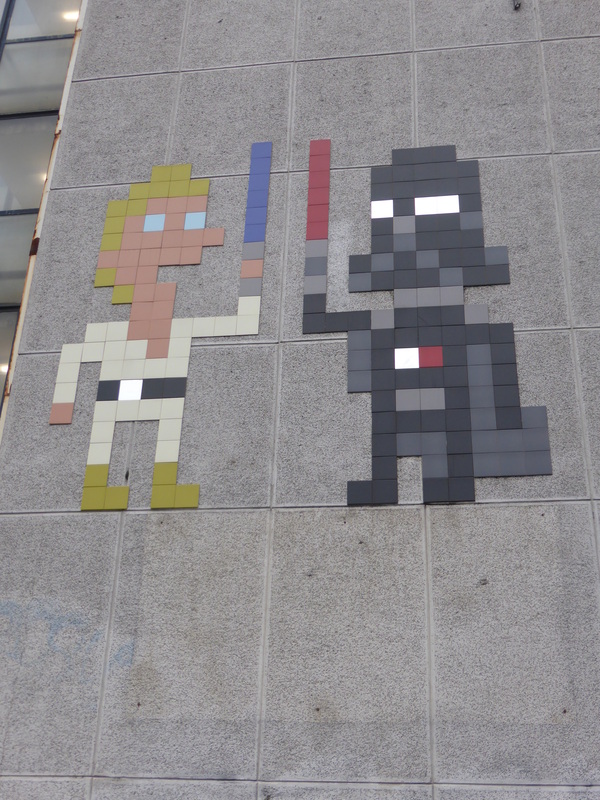 Invasion on the BFI building along the Southbank. 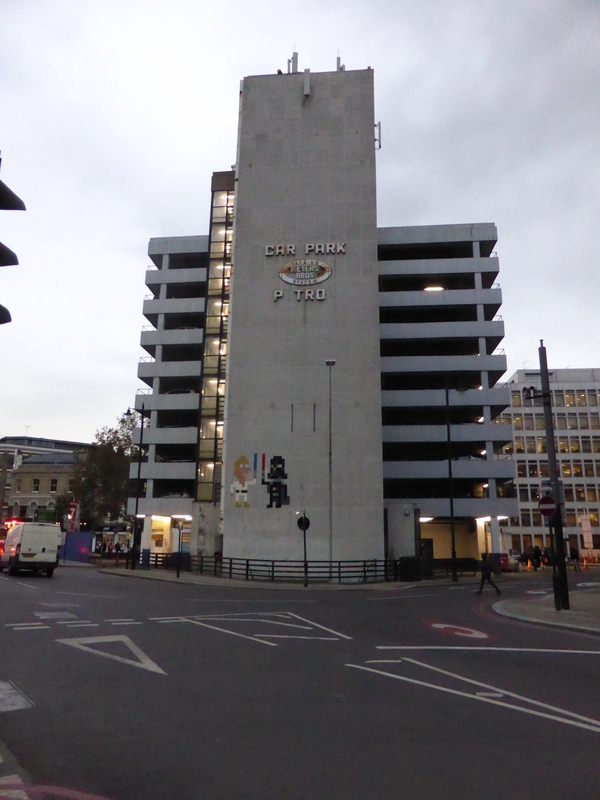 Invasion in Southwark on Southwark Street. 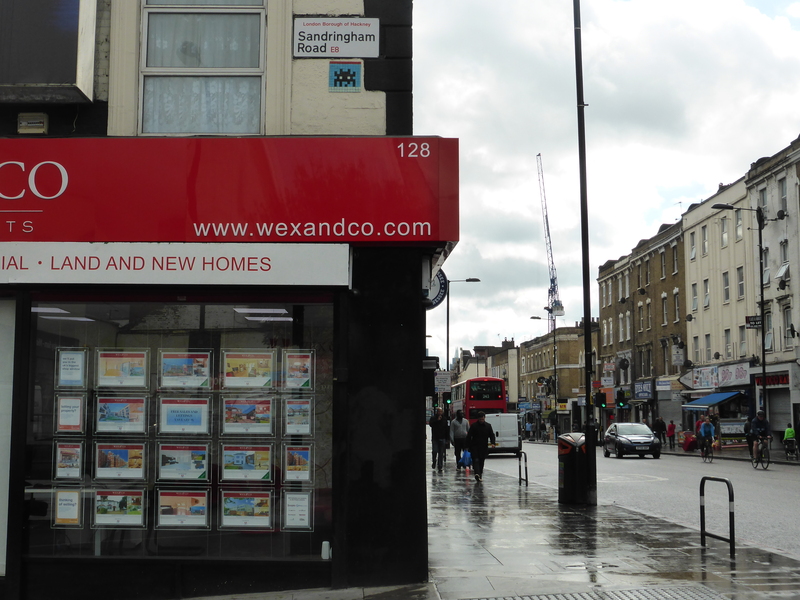 Invasion in Brixton at the junction of Coldharbour Lane/Atlantic Road. 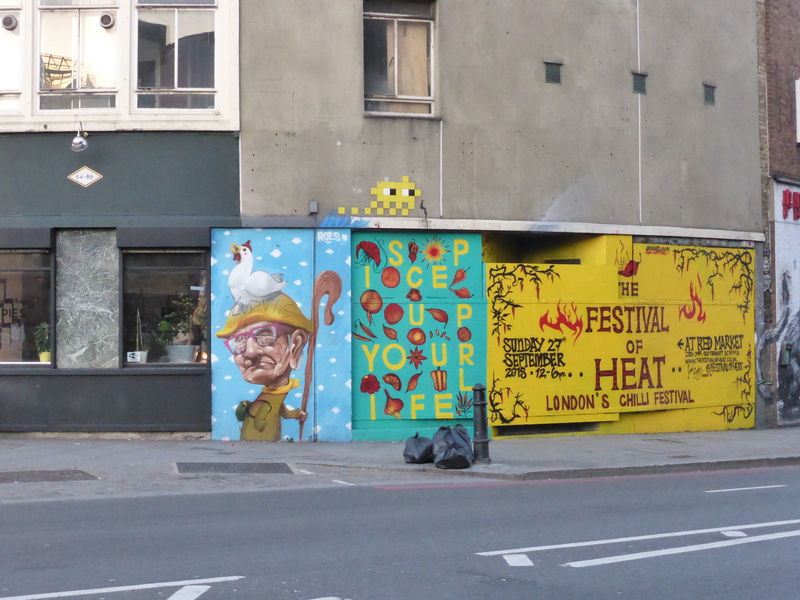 After putting this post out we were contacted by our friend and Street Artist Jask who helped us with the locations of a further two Invasions in London which we have added here. Thanks Jask. 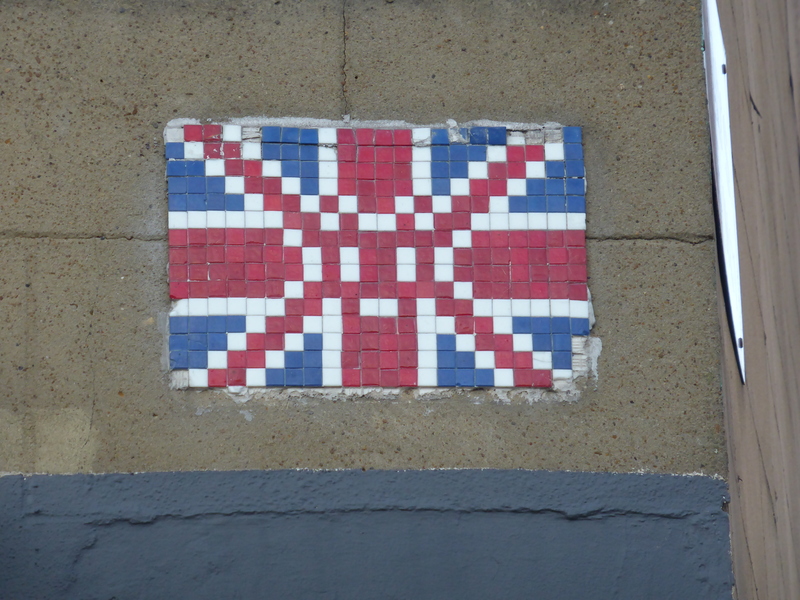 Invasion at Limehouse on Commercial Road. Invasion in Vernon Yard, Notting Hill. Pair of Invasions in the Victorian Grotto in the Museum of London. A pair of Invaders which again are very British in subject, with real old fashioned City Gent look going down in hat and carrying umbrellas. Have been looking for something this detailed in a long time! Do have a look at my instagram @bananapumpkin. 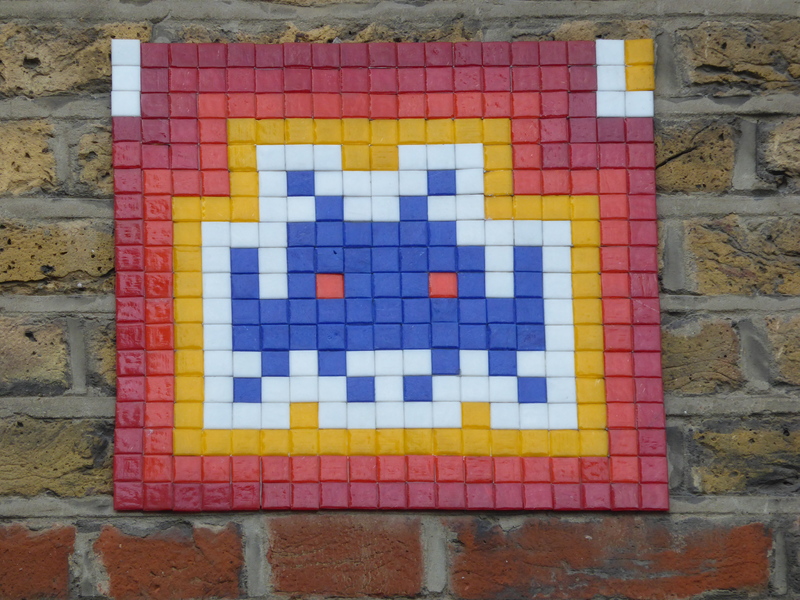 There’s a wrecked one in Shoreditch (blue, white black), an orange/blue one in Brick Lane and one more in Fitzrovia. Those are not very specific locations I’m afraid, but maybe you can puzzle it out with the photos. 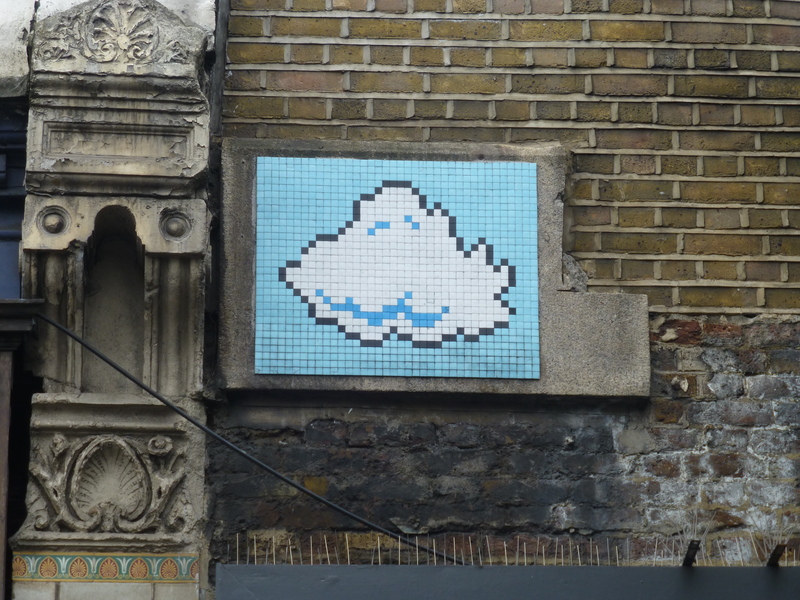 Is that cloud really an invader, by the way? Hi ya Robin, firstly we are glad you enjoyed and have found this post useful. 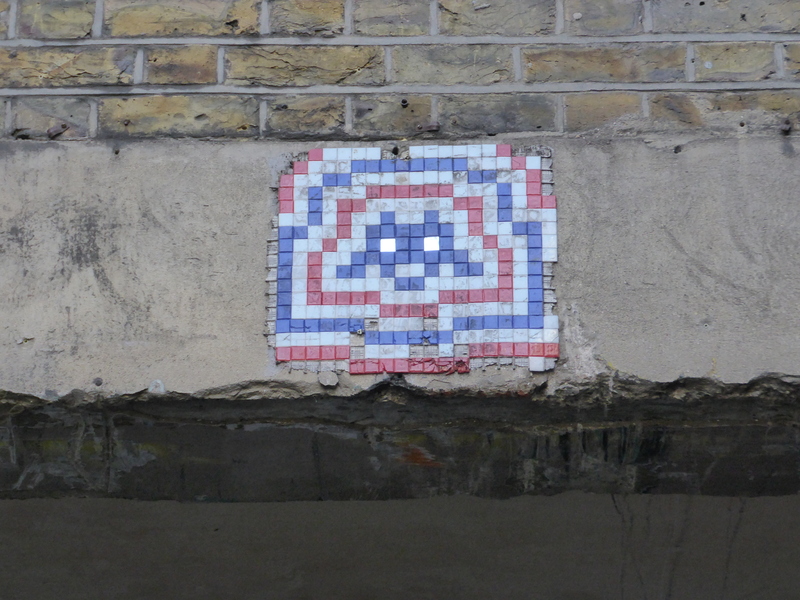 We are familiar of the two you mentioned in Shoreditch/Brick Lane both are so badly damaged we didn’t include, but may add to bottom of post. 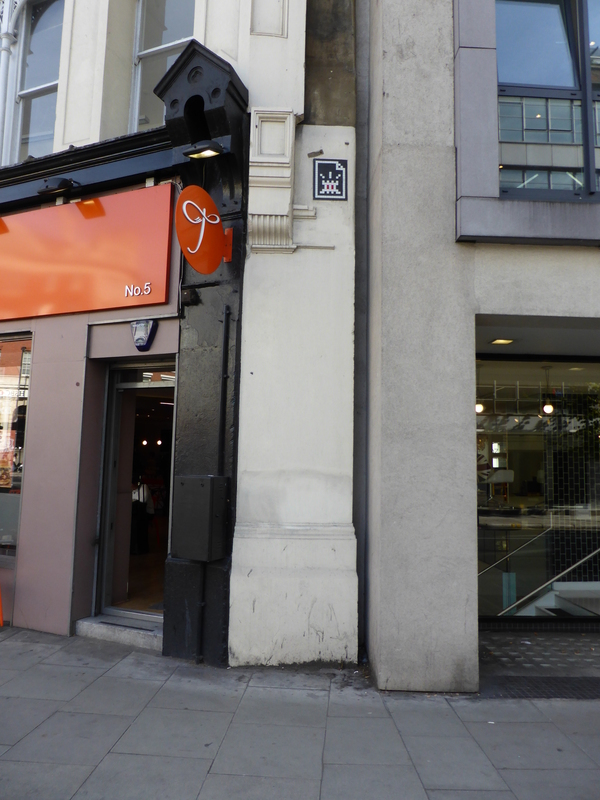 We were however unaware of the Fitzrovia one and through Google believe we had the correct location and will check out and if stil there, wil certianly update the post accordingly. As for the cloud as far as I am aware, but you may be correct. Thanks so much for the help, we really appreciate and will be acting upon the generous information you have given us. Does anyone here know how to get in to contact with the Artist? 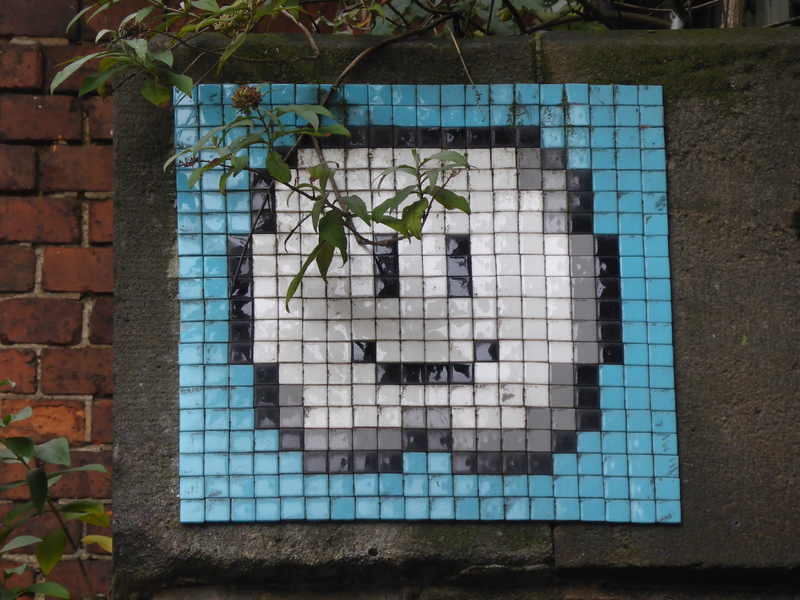 One of the pieces featured above needs to be removed to facilitate some construction work and I would like to get it returned to him. Thanks, you’ve helped us out a lot! My kids have found a bunch in Paris and we’re excited to find out they have come to London. I know of three others, near Covent Garden. I’ve taken pictures and have the locations, where can I email them to you? 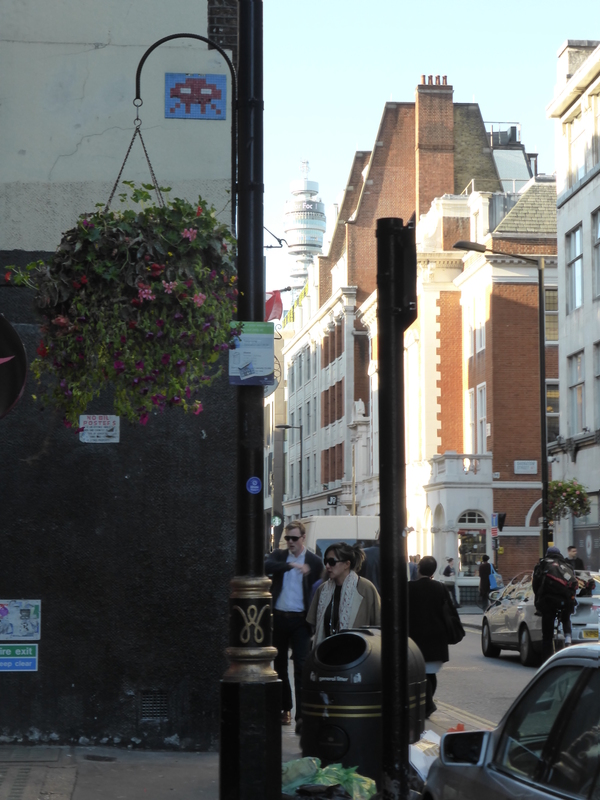 There is one on the corner of Percy Street and Rathbone place, between Said Dal 1923 and The & Partnership London. It’s black on a sky blue brick wall, about 8 feet above the ground!